The makers of Mahanati may drop the songs featuring ANR and NTR, courtesy time limitations. The lovely Keethy Suesh is beyond any doubt one of the busiest stars in the Telugu film industry today. And, at present, she has several big films in her kitty including Mahanati. The film is a Telugu-Tamil bilingual and is based on the life of yesteryear superstar Savitri . As Mahanati is set in the golden period of Southern cinema, characters based on yesteryear icons are likely to feature in the film. Sometime ago, it was reported that the makers wanted to rope in Nani to play NTR and were also looking for someone to play a character modeled on ANR. And, as expected, this created a buzz amongst fans. However, according to the latest reports, there has been a change in these plans. Keeping in mind time constraints, the makers may decide to digitally recreate these icons on the big screens. Talking about this, a source said that the makers may even decide to drop the scenes featuring the legends. “Initially, they wanted to rope in actor Naga Chaitanya for the role of ANR while a couple of other actors were being considered to play NTR. But it didn’t work out. And so, they are now going the digital way and may insert scenes from their original movies. There may be a chance that they don’t insert scenes of NTR and ANR at all,” added the source. Well, this is a developing situation and it will be worth watching what the makers ultimately decide to do. 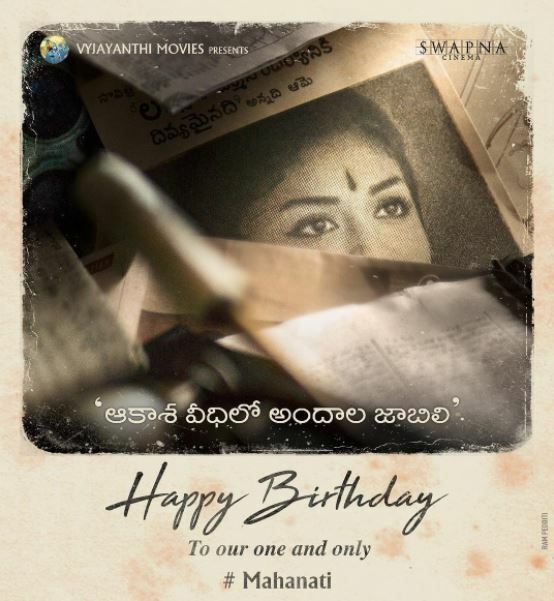 On a related note, Mahanati is slated to hit screens in March and has been directed by Ashwin Nag. Besides Keerthy, it also features Mollywood star Dulquer Salmaan and T-town’s heartthrob Samantha Akkineni in the lead. DQ will be playing a character modeled on ‘Kadhal Mannan’ Gemini Ganesan here.